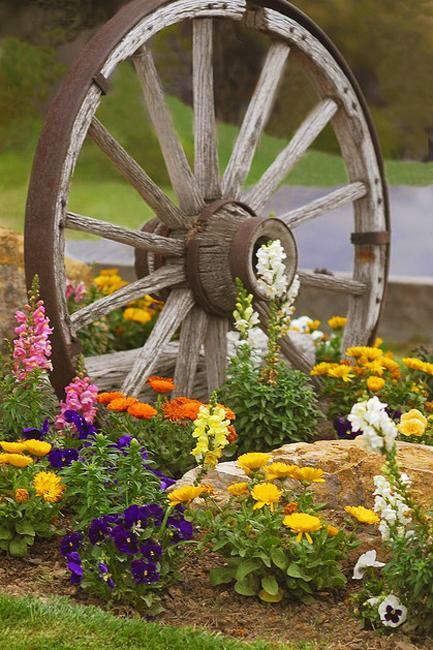 Old metal and wood wheels make fabulous accents that personalize garden designs and add a touch of vintage style to yard landscaping. 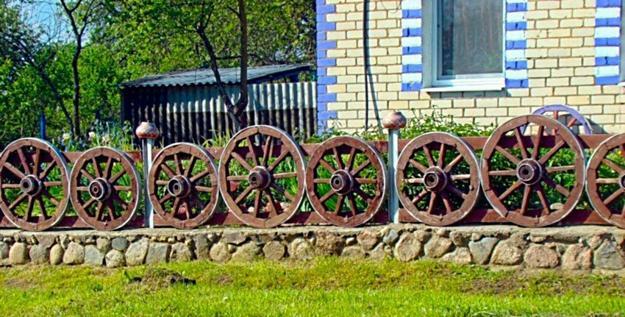 Now wheels are rare items which are not easy to find for free. 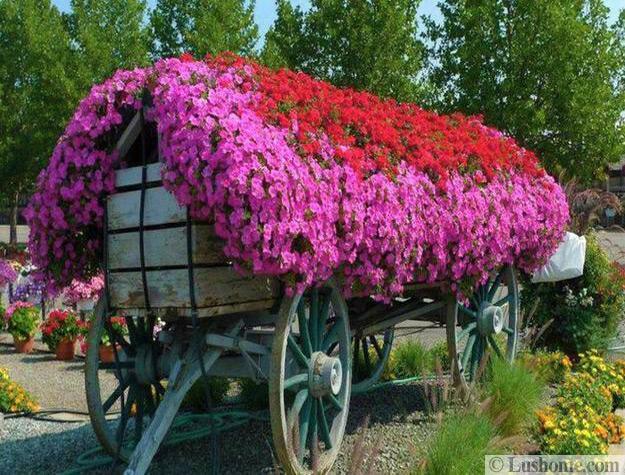 If you are lucky to have one or two, do not hide them, but display. 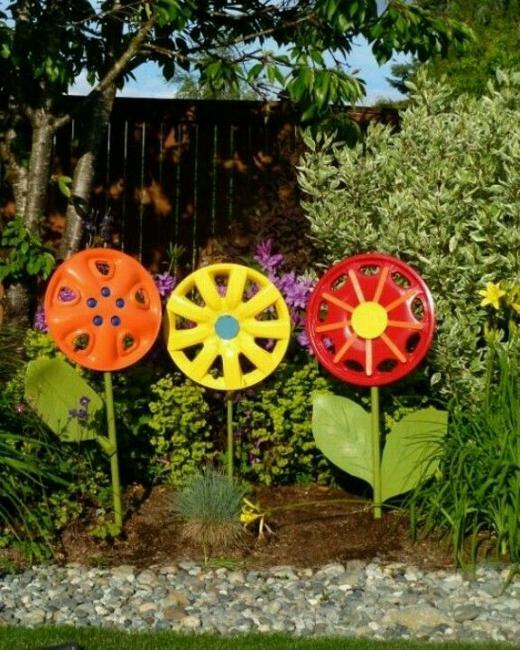 You can recycle them for spectacular yard decorations. 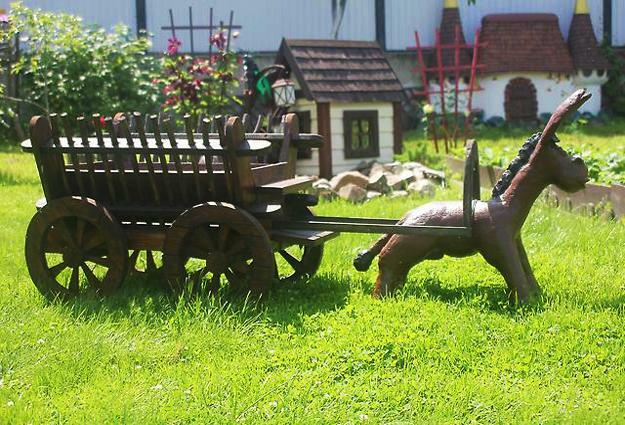 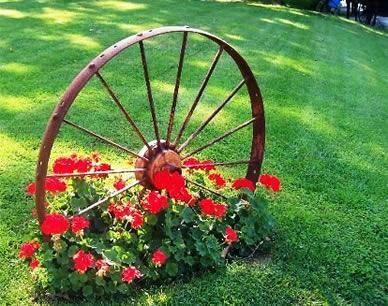 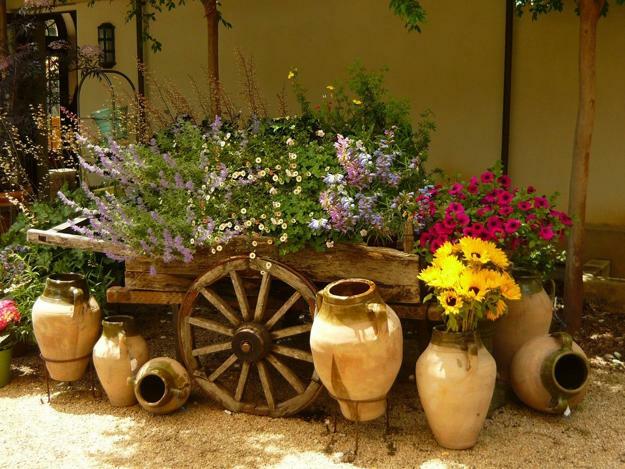 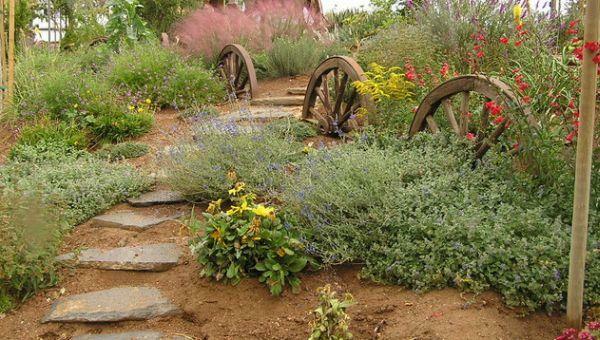 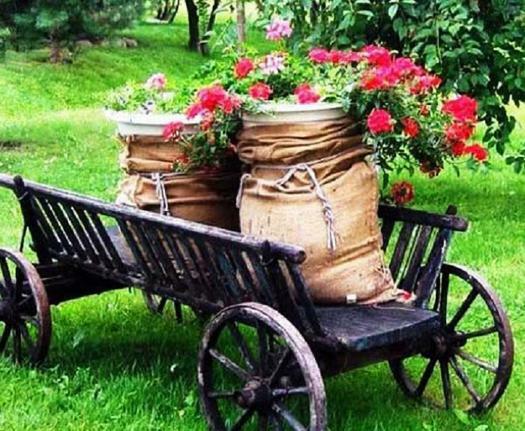 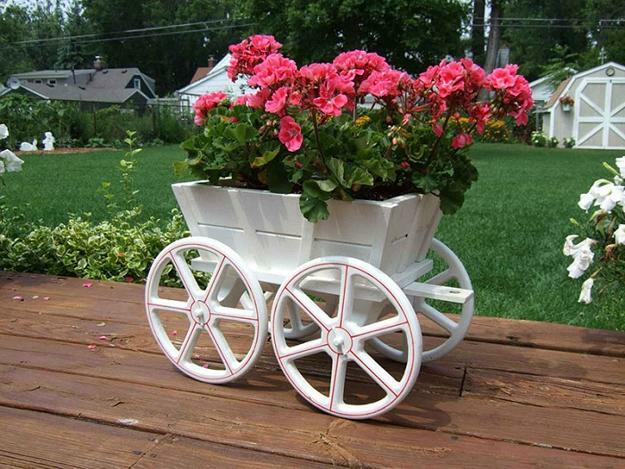 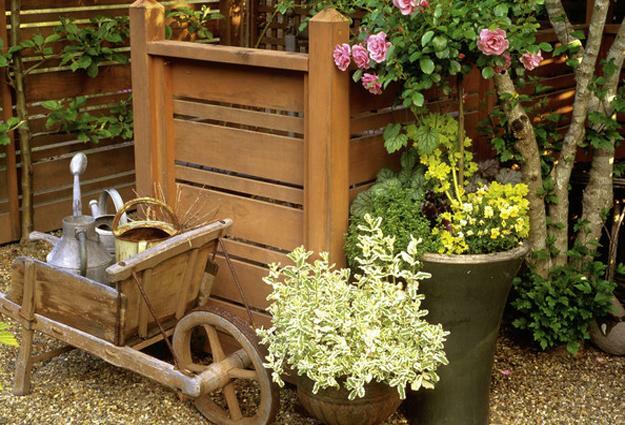 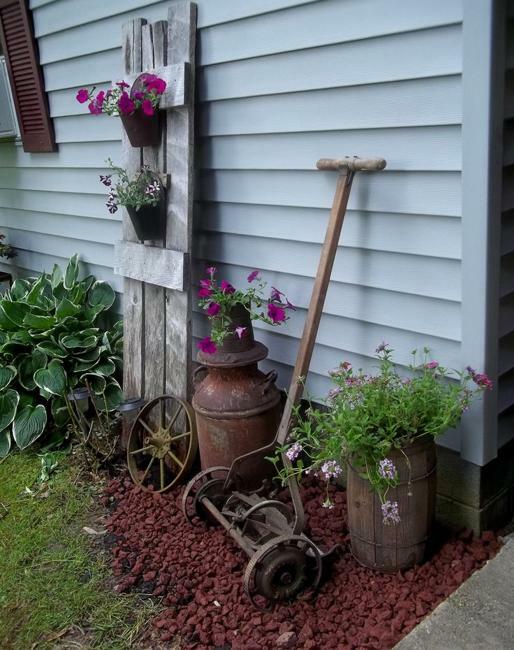 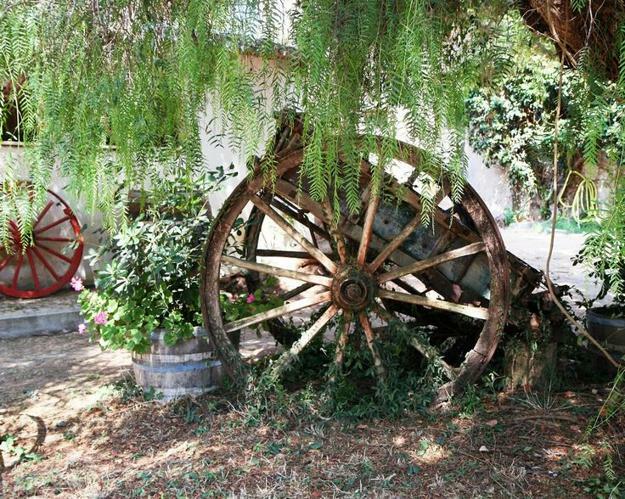 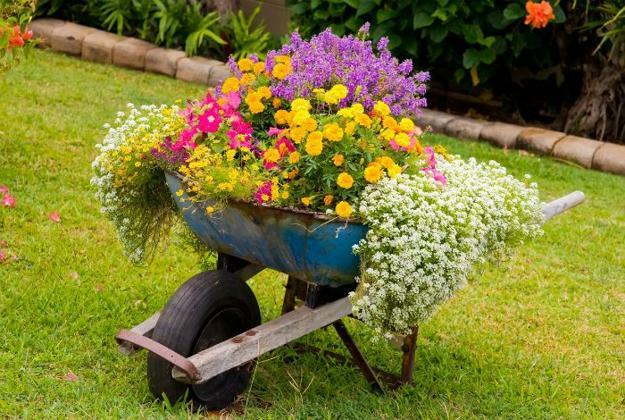 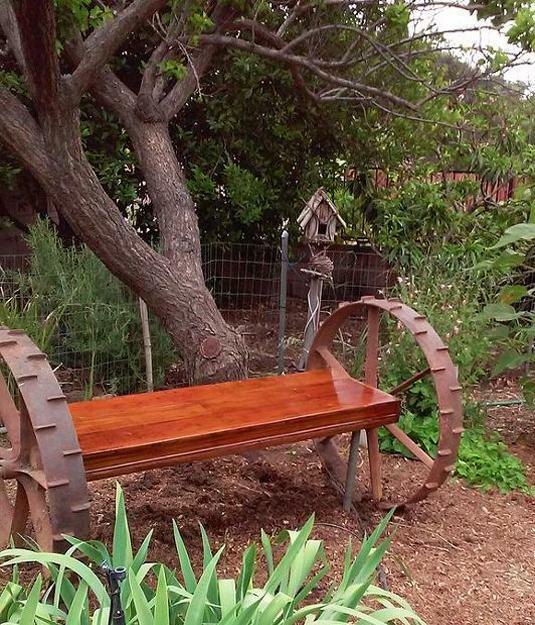 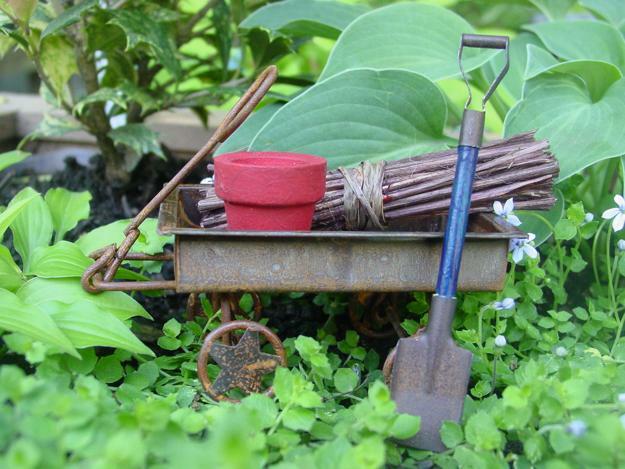 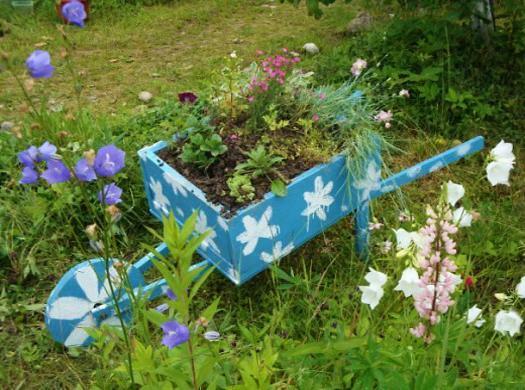 Old metal and wood wheels look beautiful in country home yards and cottage gardens. 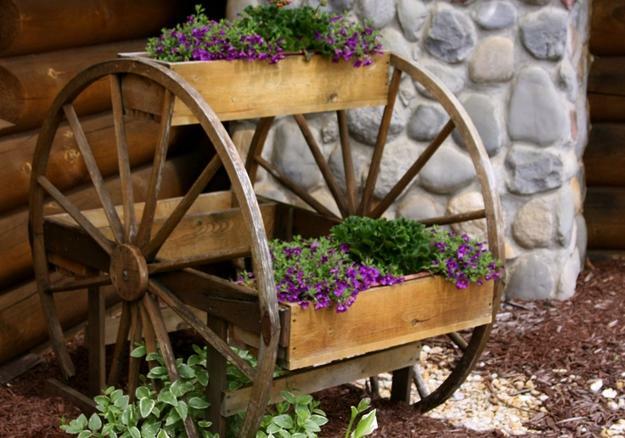 Wheels come in different designs, sizes, and types of materials. 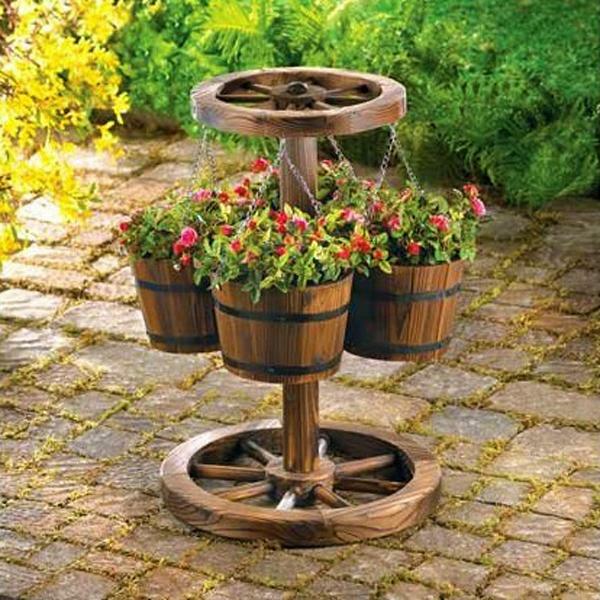 Spinning wheels, wagon wheels, industrial cart wheels or vintage bike wheels provide surprising material for creative and original interior design and decorating outdoor living spaces. 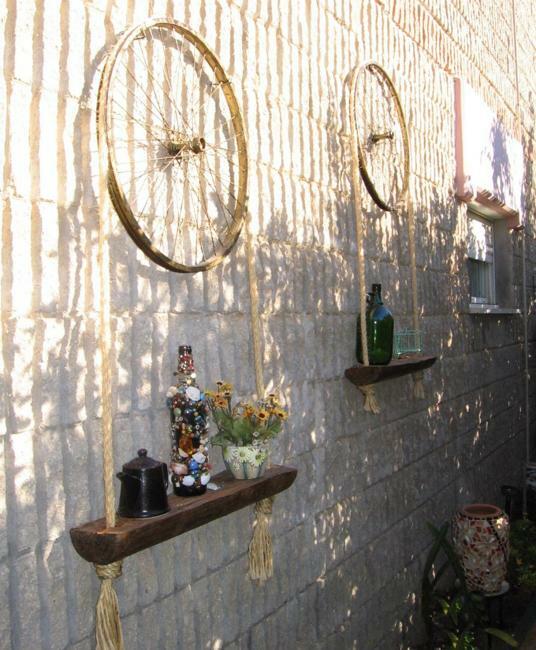 Wheels are circles that symbolize the Sun, and they add brightness and warmth to modern homes and gardens. 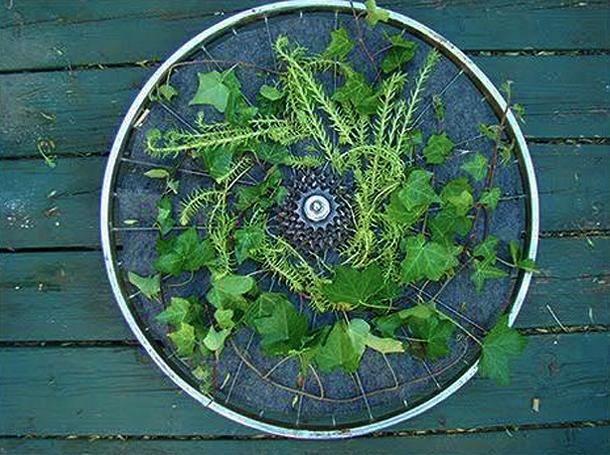 The wheel is a tremendous, the most useful invention. 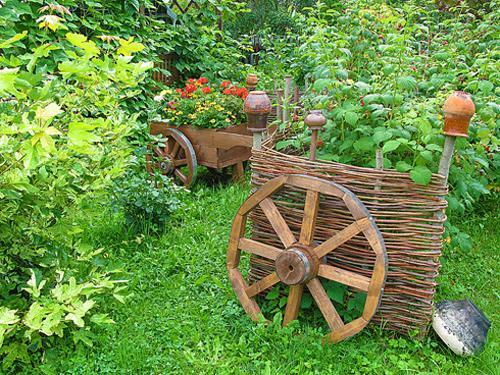 The wooden spokes wheel was used all over the world to run chariots and carts centuries ago. 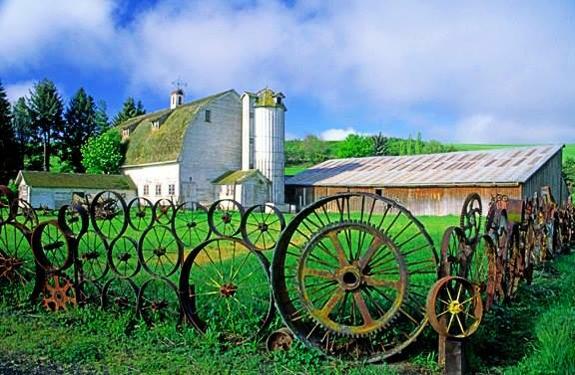 With the rise of bronze and Iron Age, people started to use stronger iron wheels. 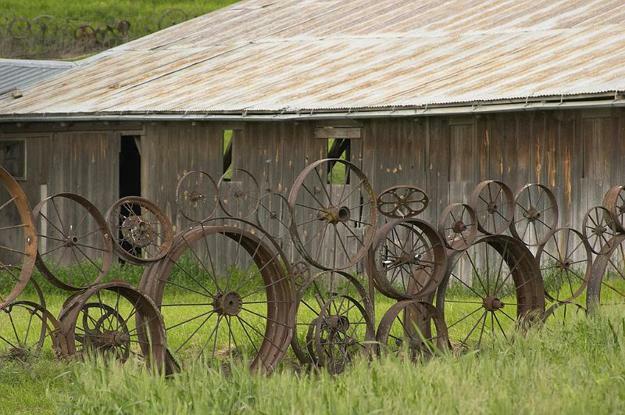 Today the old wheels bring history into modern life and connect generations in an amazingly meaningful and friendly way. 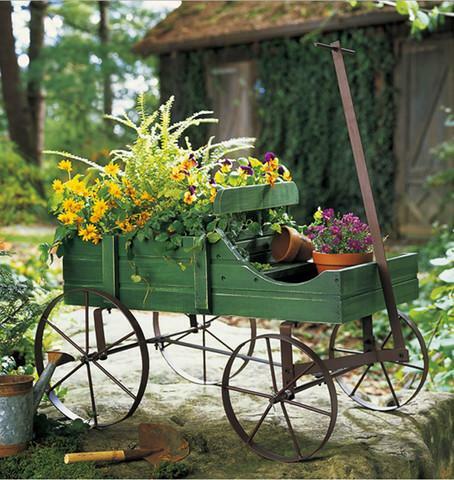 Old wheels adorned with seasonal accents, beautiful flowers, and original designs are spectacular. 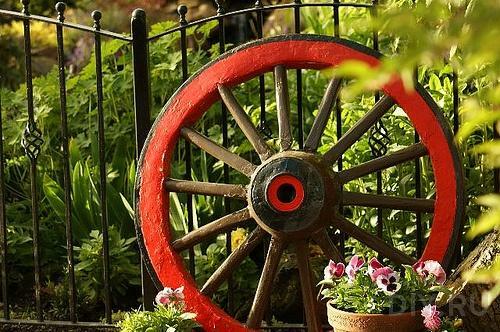 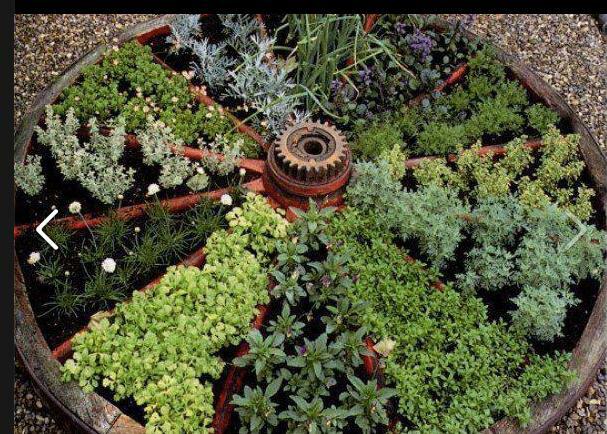 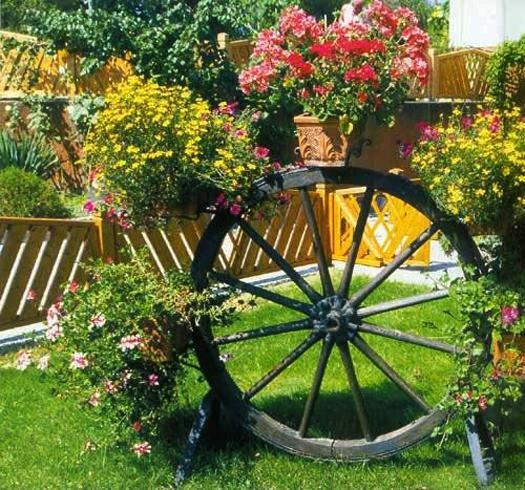 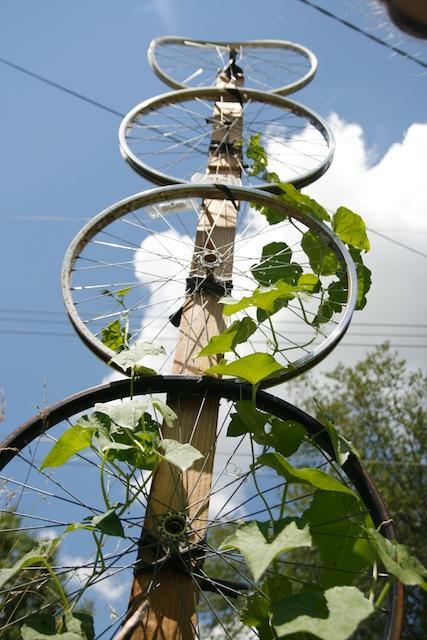 They bring a charming feel into gardens while adding floating energy of some time ago rotating spokes. 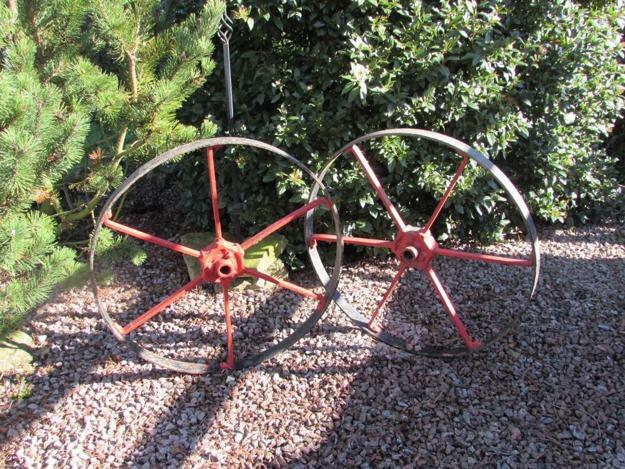 These round objects that could move around an axle fascinate people. 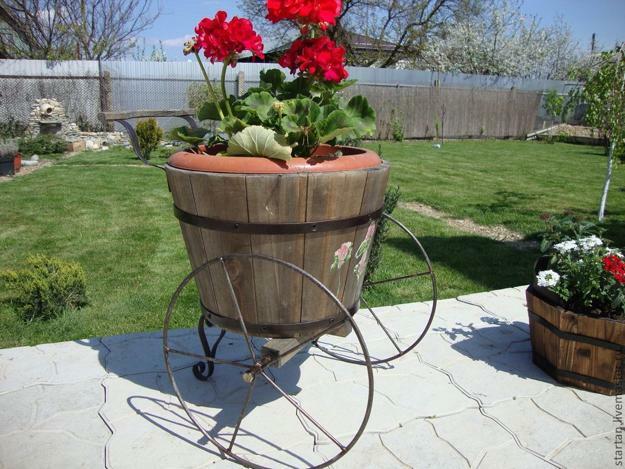 They create a different mood in a garden and allow to add beautiful accents in vintage style to modern landscaping.